You probably wouldn’t choose a college for your child or even a new car for yourself without doing diligent research. Your process would include talking with many people, doing some Internet sleuthing, keeping a spread sheet showing key comparative data, and the like. Hiring a new employee requires the same diligence. 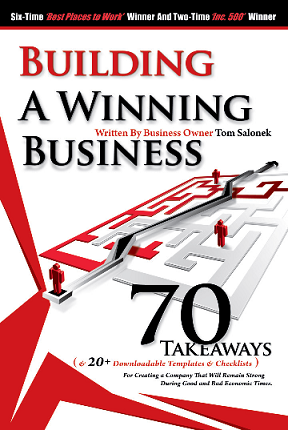 • To ensure the best hiring result, use consistent questions that all candidates must answer. You’ll find it will be much easier to compare candidates if you have an “apples to apples” set of responses. Vary the settings when interviewing the same candidate multiple times. If the potential employee will have substantial client contact or need to interact with top levels of management, for example, take him or her to lunch to observe social skills and table manners. It’s also smart to involve multiple people from different parts of the organization in the process. At Intertech, the final interview involves the prospect’s meeting with two employees for a team interview. • The hiring process is designed to primarily elicit important information from job candidates. It’s also important, however, to provide clear information about your organization’s culture, values, and expectations. When the process is done correctly, weak prospects drop out because they’ve learned enough about your company to realize it will not be a good fit—saving valuable time and money for all involved. We’ve taken this part of the hiring process a step further at Intertech by creating a “Complete Guide to a Career with Intertech” booklet, which describes everything a prospect should know about our company before making a decision to join us. The great thing about having a process is it creates a baseline for change and improvement. As recent as last week, we’ve made a change to hiring improve our process.